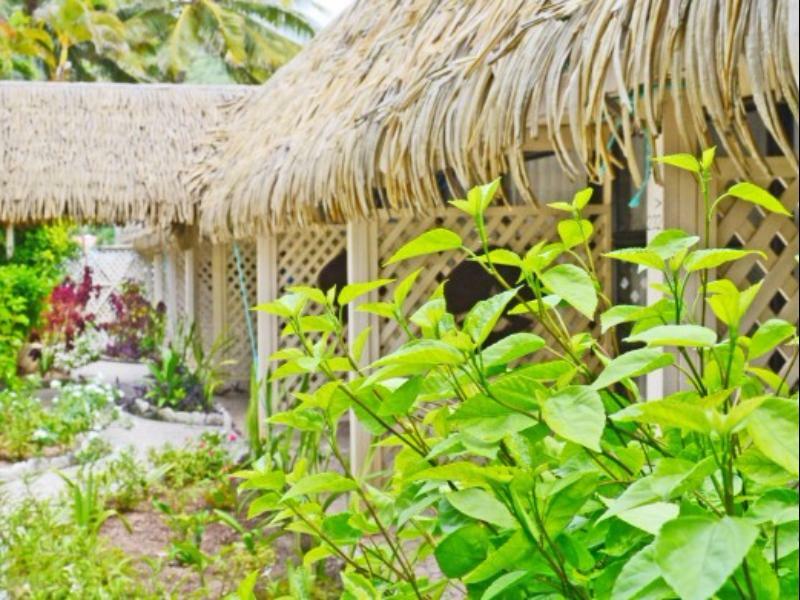 يقع في Avarua, Club Raro Resort إنه المكان الأنسب لاكتشاف راروتونجا و ما يحيطها. يقع مركز المدينة على بعد 1.5 km فقط. ويمكن الوصول إلى المطار خلال 10 دقيقة. يضفي محيط الفندق اللطيف وقربه من Cook Islands Game Fishing Club, National Library, National Museum سحراً خاصاً على هذا الفندق. كما يقدم Club Raro Resort الكثير من الخدمات لإغناء رحلتك في راروتونجا. لضمان راحة ضيوفه، يقدم الفندق الخدمات التالية: أمن على مدار 24 ساعة, خدمة التنظيف يوميًا, خدمة غسيل ذاتية, خدمات بريدية, مكتب الاستقبال على مدار الساعة . ادخل إلى واحدة من الغرف 62 وتخلص من عناء نهار طويل بمساعدة مجموعة كبيرة من الخدمات كمثل تلفزيون بشاشة مسطحة, اتصال لاسلكي بالإنترنت, غرف لغير المدخنين, مكيف هواء, خدمة الإيقاظ الموجودة في بعض الغرف. سواء كنت من محبي الرياضة أو كنت تتطلع لتفريغ عناء نهار صعب، ستجد خدمات ذات مستوى عالي بانتظارك كمثل شاطئ خاص, حمام سباحة خارجي, مسبح (للأطفال), حديقة. إن Club Raro Resort هو خيارك لخدمة الفنادق الراقية في راروتونجا. Room was not ready when we arrived at 1am but was given late checkout for free but for one room only? we had booked 6 (but had to escalate) and had to move to our poolside rooms the next day which was inconvenient. Otherwise staff are beautiful. 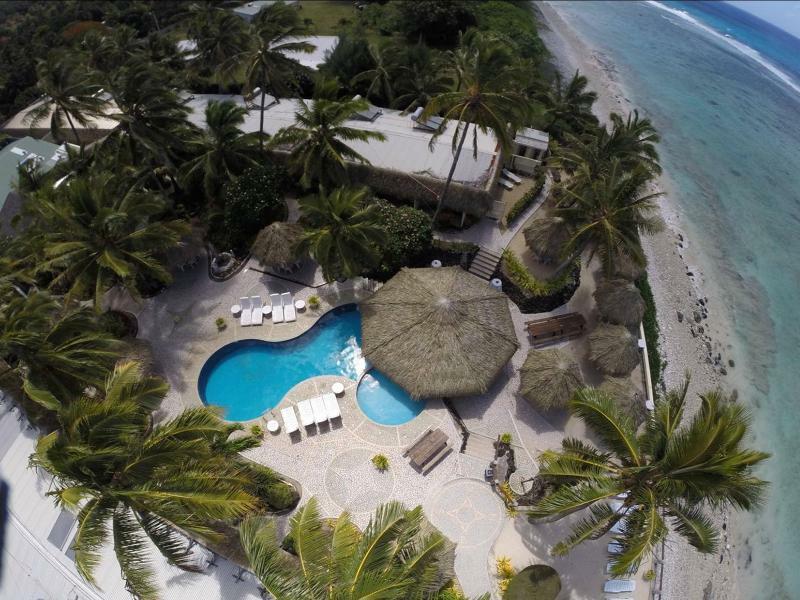 Club Raro is in a great location - close to town etc. It is in need of some renovations and TLC but for the price it is quite sufficient. The staff are wonderful, very friendly and helpful. 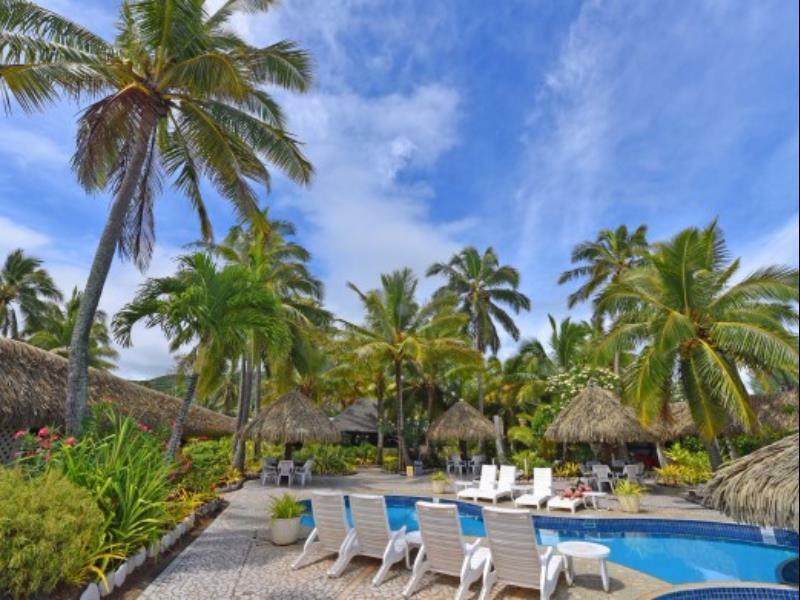 Having looked around at two other Resorts that were a bit more expensive, Club Raro was pretty good value for money as the other two resorts also needed renovating. 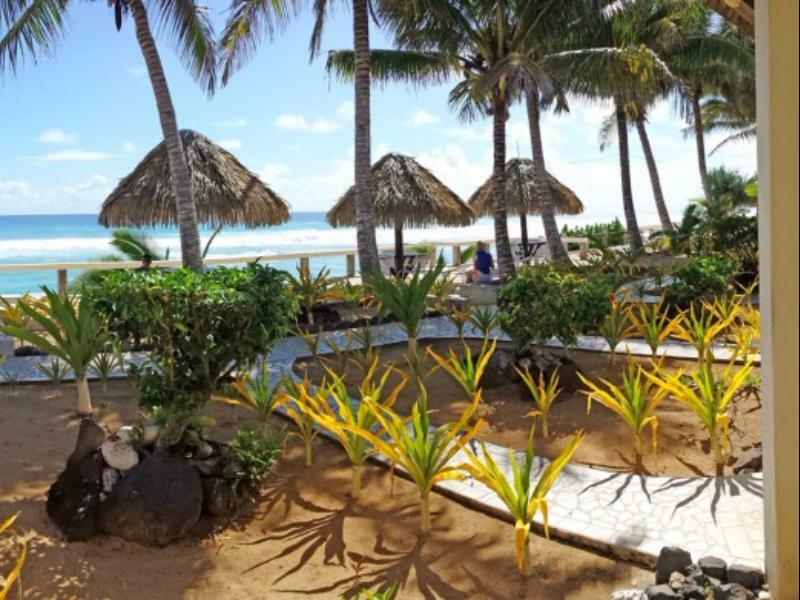 I would recommend Club Raro if you are wanting a cheap holiday. The food at the Resort was absolutely beautiful! Compliments to the Chef! We stayed with Club Raro for a few nights to attend a friends wedding. Arriving late (Most flights arrive near midnight) we checked in and were escorted to our ocean view room. Unfortunately the resort is very old and dated, slide door entrance to rooms ... We discovered ants on and around our bed, aircon was rattling all night, tv had no reception at all. The food was OK. We had pizza and wedges and they tasted good. The staff are great but they can switch off sometimes.. The pool isn't inviting, the pool bar is convenient but not worth staying for more than an hour. The ocean isnt ideal for swimming but you can walk in reef shoes to look at fish. We wont be returning to rarotonga unfortunately as the island is far below tourism standards compared to Fiji etc. 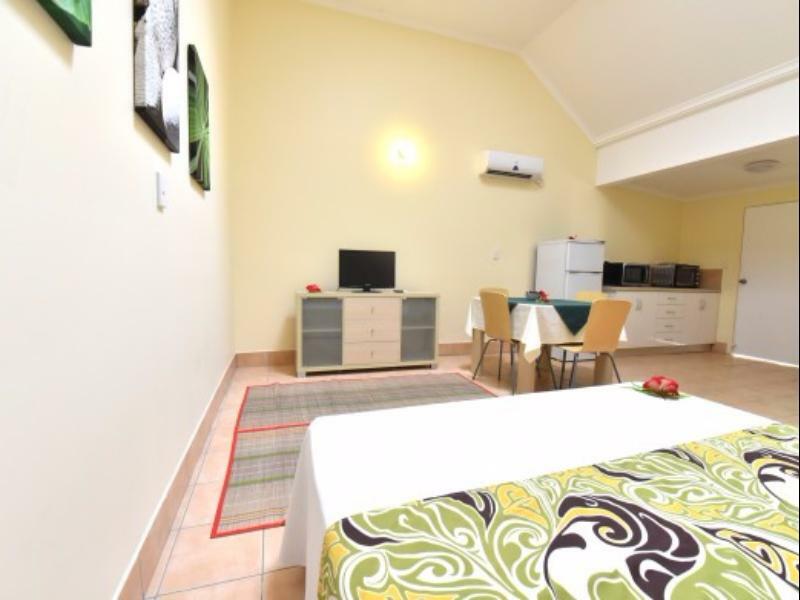 Friendly resort, great beach facing rooms and pool. We only stayed one night in a studio room- which was around the back-was fine for one night, not the outlook we’d want for any longer. Nice staff, breakfast and pool area. PROS Location. Friendly Staff. Happy hours. Room cleanliness. (Apart from ants. CONS needs a upgrade around the edges but then it is only 3 star. Fire ants in our bed on first night but sorfed relatively quickly. Friend in another room got room changed as fire ants swarmed her room. Generally overall a great place to stay. Pool area could do with a paint and tidy up. Staff are very friendly to help. Doesn't have a very good beach area but most of rarotonga doesn't have very good beaches. Great value for the price. Great place great staff .. if facilities up the game i would pay more .. even a great waterblast of rumba would work wonders .. the smell of raro in rooms would be nice.. update bar facilities and breakfast buffet would make it greater .. and make use of the huge entry area.. maybe an inside bar seperate from restaurant? The beach was rocky but I love rocks, and still great for having a dip, lovely bar overlooking the lagoon and not too many people, everyone was friendly and nothing was too much trouble, I would definitely stay here again! We booked 7 nights here with my Mum for my Niece's wedding. Room- we were booked into room3. Private area. Clean room. Comfy beds and serviced daily except on our last day,and some times serviced late in the afternoon which was inconvenient to us because my Mum loves to have her nap then. Resort- the whole resort I thought was wonderful. Friendly staff. Beautiful views looking out into the ocean. Nice pool and swim up bar. Breakfast/food. We had a tropical breakfast every morning, I wouldn't quite call it a 'tropical' breakfast,more like a continental breakfast. Would of loved to have a different variety of breakfast every 3 days, got a bit bored eating toast, banana bread etc every morning for 7 days. The food we did order from the bar for lunch and dinner were delicious, but very very expensive. Reception Staff- always friendly,always helpful and always welcoming. Thank you Club Raro for a enjoyable 7 days. Would definitely stay here again. We enjoyed our stay here. The pool area was great. It would have been cool if the resort did activities throughout the day. The room was okay but had an odd number of beds when there were just two of us. Really took a lot of room up which would have been nice to have the space free. Staff were amazing ! All exceptional good, except a couple of below which can be improved. Pool is not that great and cleanliness needs to be emphasized Curtains in the room are mouldy and are health hazard, needs changed/washed. Staff were amazing and friendly made us feel so welcome and comfortable. The room was clean and tidy. The aircon was great. Reception was super helpful. Will defiantly return to this resort. Thank you for making our holiday awesome. This was me and a mates 2nd time to Raro within 9 months (Feb 2017 Nov 2017), so we were very happy and excited to stay at Club Raro because it was close to everything that we wanted (alcohol/clubs/food and more food) Thank you for your whanaungatanga and aroha!!!! and we will see you again late Feb early March 2018 yeow!!! My husband and I got away without our kids for 8 days. It was bliss. I read previous reviews before we left 50/50 some complaining about the beds being too hard. I went with a squash team, a big group of us and not one person had this problem. The rooms were serviced daily. The continetal brekfast was on point, The staff were very friendly amd helpful, espeically Aunty Lou. Facilitys were great, washing machine and drier abit old and shabby but they still did the job. Was an exceptional experience that we hope to bring the kids to next year.